Sharon GIRLING OBE is a former law enforcement officer with extensive experience in developing and initiating national and international entities responding to child abuse. She initiated the prospect of policing child abuse on the internet in the United Kingdom developing the concept for the national unit, the Child Exploitation and Online Protection Centre (CEOP). Sharon has led a team conducting an audit of tens of thousands of safeguarding files for a recognised international child organisation and has conducted physical and paper audits for organisations on behalf of the European Commission. 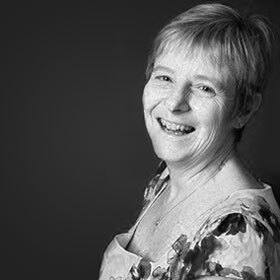 Sharon was responsible for designing, developing and implementing a national and international computer system for identifying victims, offenders and scenes of child abuse including their case management. This methodology has been adopted by many other agencies and consumers in other arenas. She is currently consulting with two international organisations in the development of online apps. Sharon reviews and evaluates child protection strategies and processes for local authorities, schools, organisations, and top-level domains. She is also the Assurance Manager for a national fostering agency. As a co-Director of a small company Sharon supports more than 300 national and international schools and companies. This includes reviewing, evaluating, developing and delivering their child protection and online awareness strategy. The clients include government bodies, local authorities, schools, international child safeguarding charities, fostering agencies and Premier League football clubs. The engagement with schools includes the delivery of the current online awareness trends and platforms to pupils, staff and their parents. Together with Teresa HUGHES, they also conduct safeguarding assessments and evaluations for schools and organisations. Sharon was awarded the OBE for her services to policing and child protection.